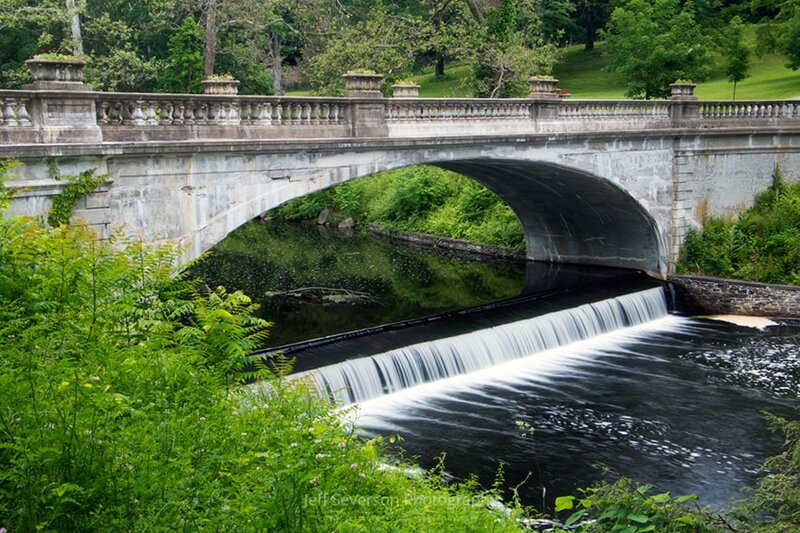 The historical White Bridge at the Vanderbilt Mansion National Historic Site in Hyde Park was first constructed in 1897 and is one of the first Melan arch bridges to be built in the United States. The bridge, which is a part of the main entrance at the Vanderbilt site, spans the Crum Elbow Creek and one of the several waterfalls that can be found as it meanders through the estate. This photo was taken with a Canon EOS 70D at 35 mm and a 1 second long exposure on June 15, 2017.